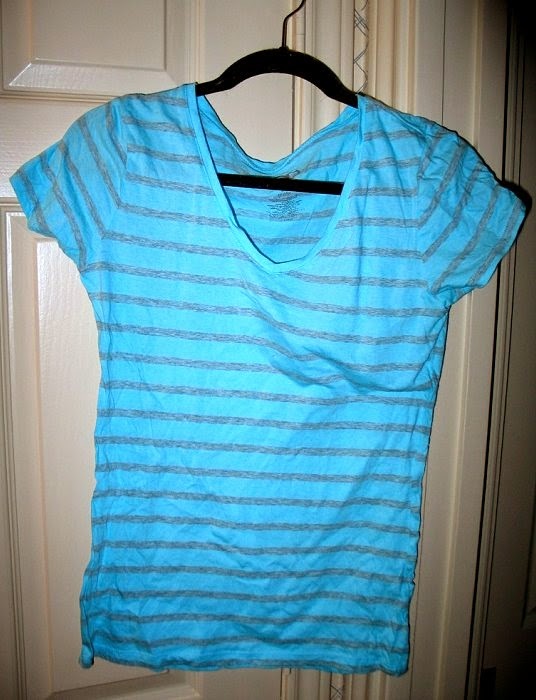 In the latest season 7 episode of True Blood, "Karma", Sookie Stackhouse wears a blue stripe shirt by the brand Op. 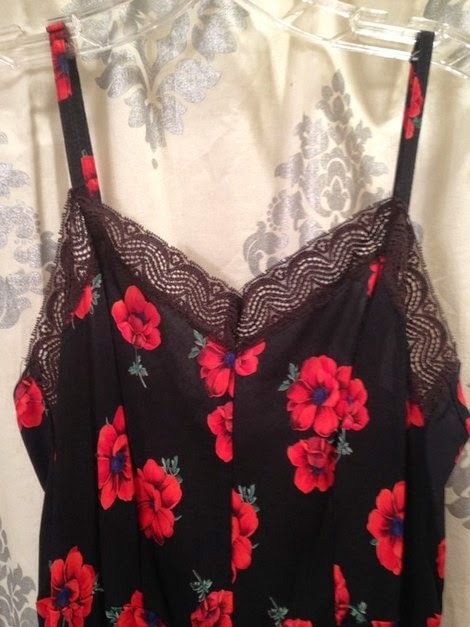 The top was originally sold at Walmart & Target, but is no longer available. It can sometimes be found on sites like Ebay. While out in LA, on April 24, 2014, Sarah Michelle Gellar wore a Rebecca Taylor Geo Clip Silk & Cotton top & a pair of Rebecca Taylor Patchwork shorts. The RT shorts are on sale, for half off, at Shopbop and the top is on sale at Nordstrom. In the upcoming True Blood episode "Return to Oz" Sookie Stackhouse can be seen wearing a Printed Sleeveless Chiffon Shirtdress. 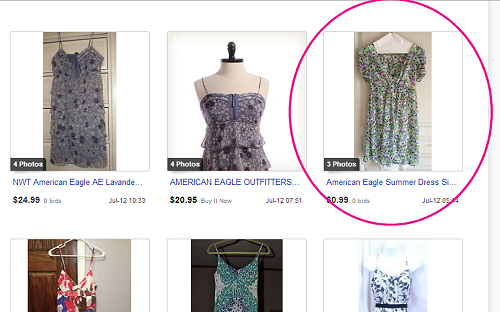 The adorable, yellow, floral dress is no longer in stores, but can sometimes be found listed on Ebay. Special thanks to Kirsten for spotting this adorable dress. Be sure to check out her Facebook group Sookie's Closet. 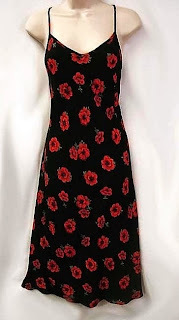 During the last day of filming, on the set of True Blood, Anna Paquin was seen wearing a BB Dakota 'Renley' Lace Fit & Flare Dress. The dress is exclusively at Nordstrom. While out in LA, on Nov. 9, 2013, Sarah Michelle Gellar was seen wearing a fabulous Rag & Bone Gina top. 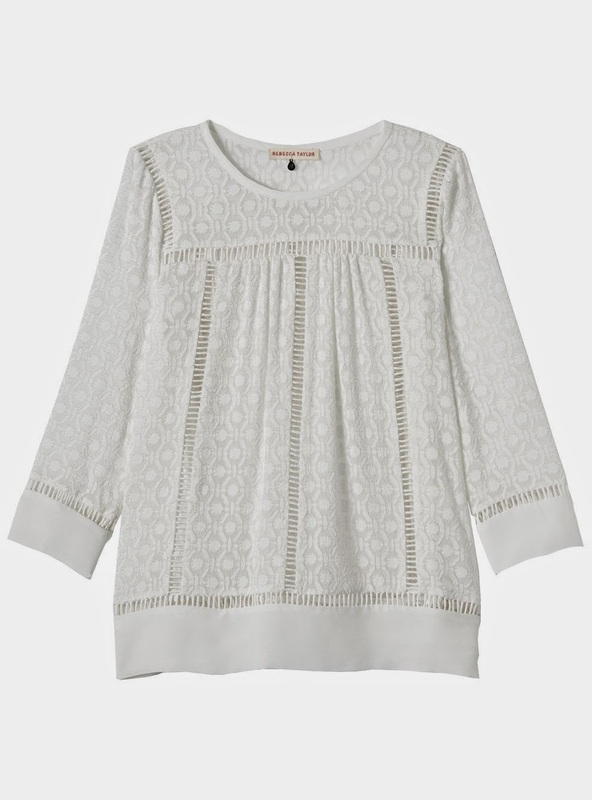 The blouse is currently on clearance at Farfetch, Couture Candy & Madison LA. Special thanks to Cindy for spotting this amazing top! Sometimes is can be difficult to find certain outfits worn by our favorite characters. The outfits usually are no longer in stores so you have to resort to searching for it on Ebay or Poshmark. Well, I am now going to tell you some tips and tricks to finding outfits. This is how I have found many of my pieces. Let's start off by trying to find an outfit worn by Sookie Stackhouse / Anna Paquin from True Blood. For this example, we are going to search for with Sookie's Floral dress from Season one. Now, we know the dress is by American Eagle so I'm going to type that in along with the words "floral" in the dress section. The key to this is to be as vague as possible. This is because a lot of people aren't very descriptive when listing their auctions. This search produced 760 auctions. YIKES! That would take forever to go through so let's narrow that down a bit. As you can see, Sookie's dress has short sleeves. So let's go ahead and limit the search to include dresses with "cap sleeves" and "short sleeves". We are doing this, because people often interchange the two so it's best to include both. Remember what I said about being vague? While you're at it, go ahead and check the sleeve style "not specified". Often times, sellers do not fill in all the the subcategories in their listing. When narrowing your search, it is a good idea to include the subcategory "not specified". Now our search is down to 116 items. Much better. Time to see if we struck gold. Well what do ya know. 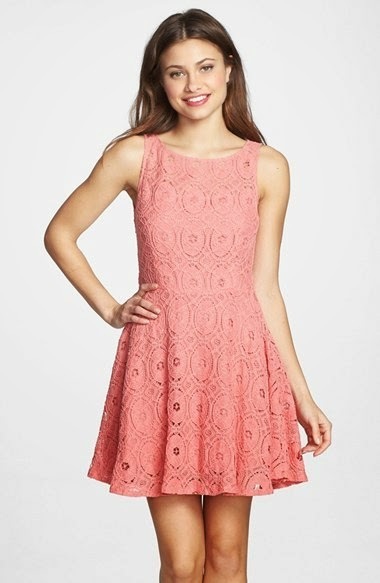 We've found the dress and with the starting bid of 99¢! Woohoo! Now, this isn't the only way to find outfits, from a tv show, but it's the way I find to be the most successful. This tutorial can of course be applied to other clothing items, just keep these tips in mind: be vague & include "not specified" and you are more likely to be successful in your search. 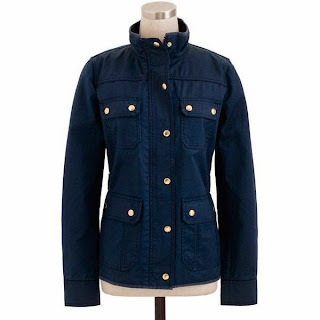 In S05E12 & S06E01 Sookie Stackhouse wears a beautiful military style navy jacket from Madewell by J. Crew. The original jacket is hard to come by, but a close alternate is the J.Crew Downtown Field Jacket. The only difference between the two jackets seems to be the snaps on the pockets. Sookie's has one snap per pocket and the Downtown field jacket has two. Buffy: Willow, you’re a gay woman! And he... isn’t. Willow: This isn’t about his physical presence! It’s about his heart. This outfit makes a quick appearance in the season 7 episode "Him". The top is a silk lace top by Nanette Lepore. 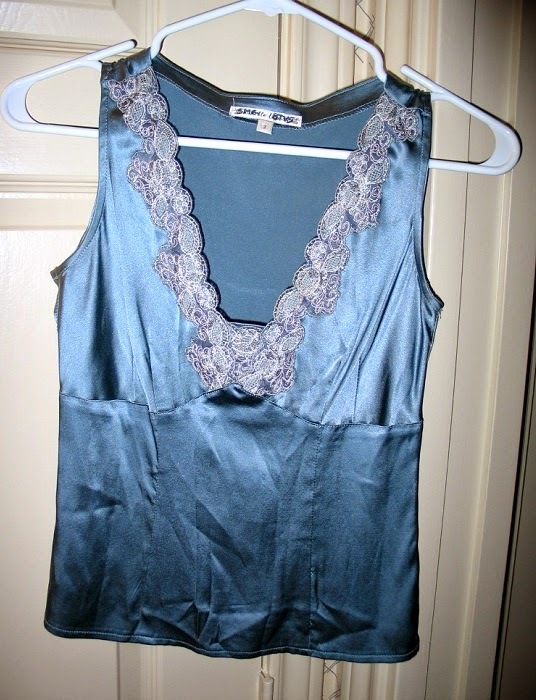 The blouse appears purple, but it is actually blue. I know this, because I own the original screen worn top. During the later seasons, cast members a lot of times would pick their own outfits. 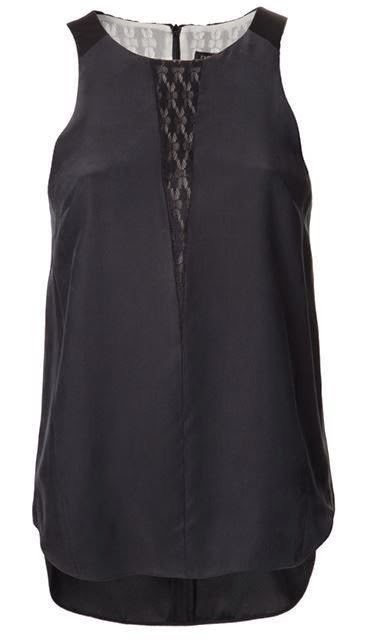 I wouldn't be surprised if Sarah Michelle Gellar picked this top, because seems to be quite the fan of the designer. It's so hard to pick just one quote from True Blood. The show is filled with such great lines. I particularly love Pam's sassy demeanor so I listed just one of her many great lines in the show. Question of the day: What's one of your favorite True Blood quotes? Ever wanted to see Sookie's house or perhaps gaze upon the Compton mansion? Well it is all very possible. 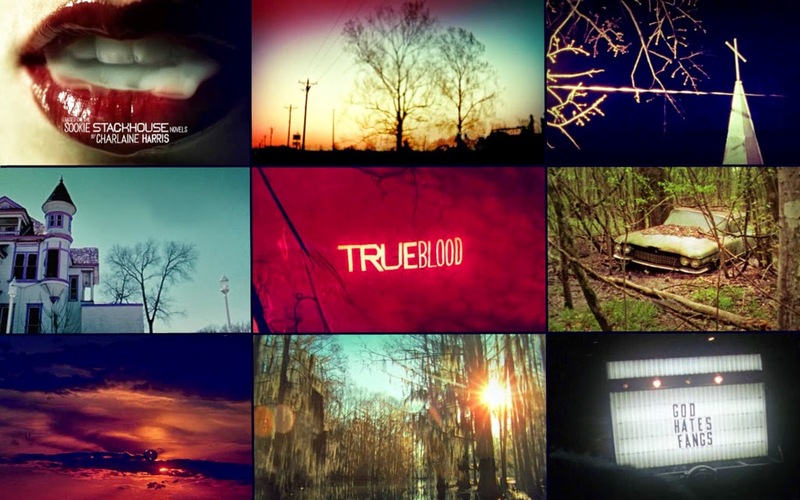 I recently stumbled across a site that provides maps and directions to the major filming locations for True Blood. The show is filmed in Southern California as well as Louisiana. Next summer, I plan to take a tour through filming locations in Louisiana. I'm very psyched! For filming locations and clickable maps, visit Seeing Stars. 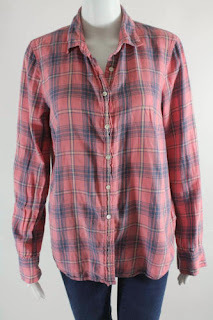 One top, that shows up from time-to-time on ebay and other resale clothing type sites, is Sookie Stackhouse's plaid shirt she wears in S04E01 of True Blood. The top is a J. Crew Boy Shirt in Pink & Blue Plaid. The easiest way to find it, when it's listed, is to simply type the words "J. Crew Pink Plaid" or "J. Crew Plaid Boy Shirt". One of the key indicators of the shirt is the tag. It's 100% cotton and is in fact labeled "J. Crew Boy Shirt". Special Thanks to Kirsten at Sookie's Closet whose keen eyes originally identified this top.